Siemens has developed a system integrating design, simulation, digital manufacturing, data and process management software for AM. GE has reached an agreement to acquire a 75% stake in Concept Laser GmbH for $599 million (€549 million). AM and MIM specialist ARC Group Worldwide has completed its sale of Tekna Seal LLC, a non-core subsidiary, for US$10.5 million. Thee DREAMS lab at Virginia Tech has won America Makes' award for ‘smart structures’ using additive manufacturing (AM) methods. Net sales increased by 10 % to SEK 440.2 million, up from SEK 400.1 million in the same period of 2015. Prodways and CEA-LITEN have developed a new 3D printing process which uses metal powder combined with organic binders. America Makes has presented its distinguished collaborator award. ISO and ASTM International have crafted a framework which will help meet the needs for new technical standards in the field of 3D printing. Bodycote presented a paper showing the benefits of hot isostatic pressing (HIP) in 3D printing at this year’s Titanium 2016 show. LPW Technology, a supplier of metal powder additive manufacturing (AM), has appointed Andrew Florentine as technical director. 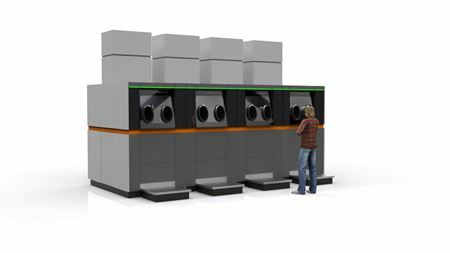 LPW Technology Ltd plans to invest £20 million to build a new facility dedicated to manufacturing metal powders for additive manufacturing. CRP USA will be exhibiting at the Southeast Region Federal Construction, Infrastructure & Environmental (FEDCON) Summit. Oberg Industries and the University of Pittsburgh’s Swanson School of Engineering have partnered to 3D print tools and components. Japan-based Osaka Titanium Technologies Co Ltd (OTC) says that it plans to focus on the production of titanium powder for additive manufacturing (AM). Fraunhofer IKTS reports that it has successfully 3D printed a range of hardmetal tools. Engineers have developed a new material made from hydroxyapatite and a biocompatible polymer for 3D printing bone implants. CRP Technology has introduced Windform FA Black, a polyamide based composite material with a dark black color suitable for 3D printing. ExOne is 3D printing home improvement and consumer product offerings for Lowe's. The 29th annual Additive Manufacturing Users’ Group (AMUG) Conference will be held from 19-23 March, 2017 in Chicago, Illinois, USA.